Twitter left a lot of questions unanswered about its new syndicated ad network, but it looks like Wall Street didn’t mind. The social company’s stock closed up six percent after it announced it would start powering promoted tweets on other sites. The tweets would look a lot like they do in Twitter. It’s sort of a confusing premise, one that led Re/Code to call it a “concept” rather than a “full-blown product.” Would promoted tweets appear on the sidebars of websites? Would they pop up embedded in posts? Would they only show up in widgets that serve up a bunch of tweets? Twitter’s blog post on the news didn’t elaborate further, aside from saying they’d appear on Twitter’s first partners: Flipboard and eventually Yahoo Japan. Flipboard is an obvious integration, since tweets are already part of the content. Flipping past a promoted tweet as you go through stories would feel natural. “Because Flipboard already integrates organic Tweets into the app, the Promoted Tweet will have the same look and feel that is native to the Flipboard experience,” the Twitter post said. I was struggling to think of many other examples where there are streams of tweets on other websites. Most media companies embed or show one-off tweets, so a promoted tweet there would look jarring and might keep journalists in particular from embedding tweets. A few years ago, embedded widgets showing latest tweets by certain users were very popular, but I haven’t seen those in awhile. I asked Twitter for more examples of where they imagine these promoted tweets appearing, and I’ll update this if I hear back. On the surface, Yahoo Japan is a weirder partner choice than Flipboard. Why would Twitter want to work with an Asian arm of a struggling media brand? Turns out, Yahoo Japan is its own separate entity — the American Yahoo helped found it in conjunction with telecommunications company SoftBank. Yahoo Japan’s popularity has continued to soar even as Yahoo’s has plummeted. And Twitter is hugely popular in Japan as well. It’s an easy way to test the product before courting other companies. 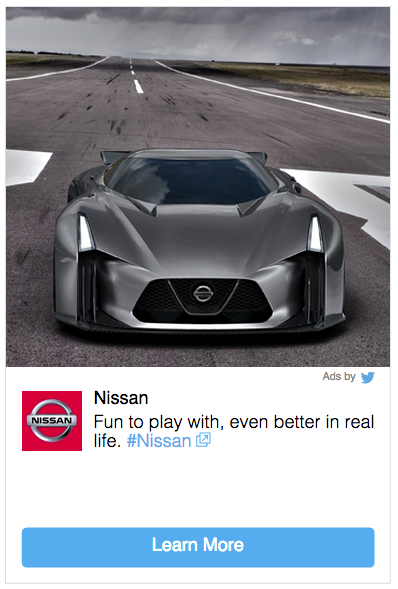 That’s key for Twitter’s new external ad strategy to succeed. Given the fact that the company is serving up promoted tweets, not newly designed ads, it has to hope people like that format.